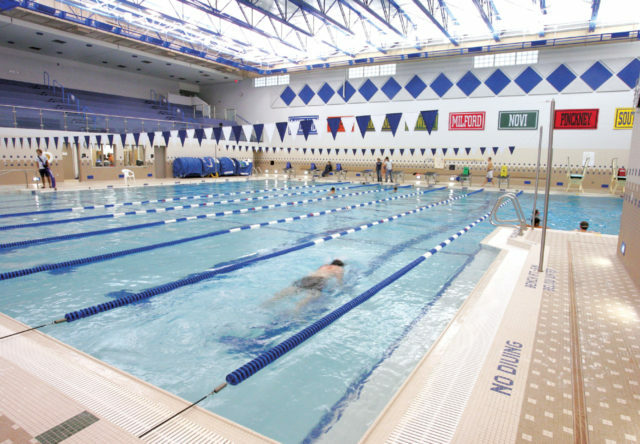 The Lakeland High School Natatorium supports competition swimming, recreational diving and leisure within a state-of-the-art facility. 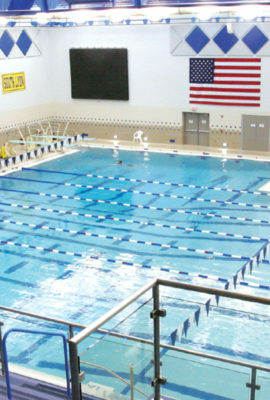 The natatorium’s eight-lane competition pool with attached diving well and spectator seating supports student athletics. 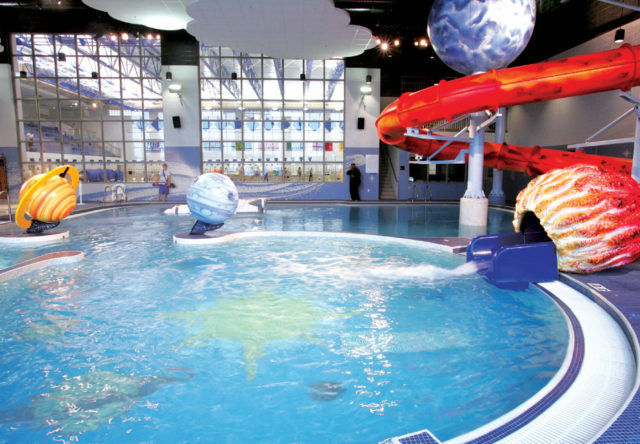 An attached family aquatics center features a zero-depth entry pool for learning to swim, a water slide, dump buckets and interactive water toys for children. 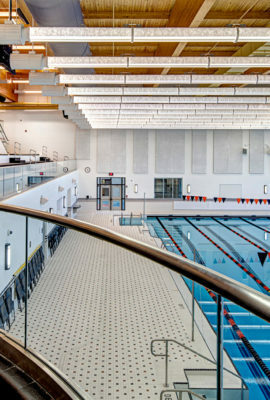 Design a natatorium that supports athletics, diving and recreation. 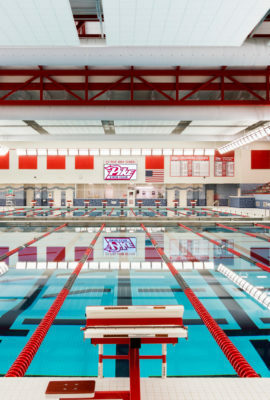 The eight-lane competition pool is designed to support for all forms of aquatic competition. 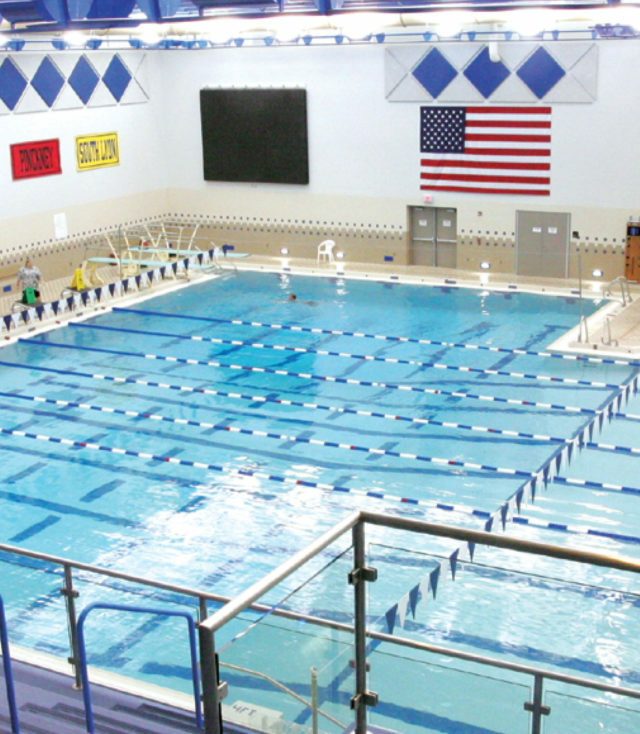 An attached diving well features two one-meter diving boards. 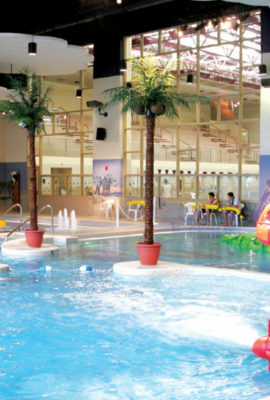 The family area features a waterslide and play areas for children, with views into the competition pool area. We are very pleased with our pools and fitness centers. 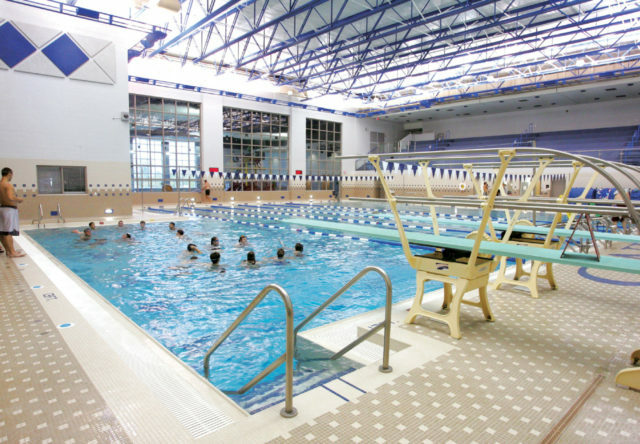 Not only do our students have wonderful facilities for instructional and extracurricular use, but our community has two centers they can enjoy year round.